Herban Planet, LLC Aug 11, 2017 We know cannabis serves as both an effective pre-workout supplement and a post-cool down treat. But if cannabis can improve your exercise routine, can you use your exercise routine to enhance your smoke session? The answer is, yes. We know that cannabis serves as both an effective pre-workout supplement and a post-cool down treat. From ultra-marathon competitors to NBA players, increasing numbers of athletes are admitting to turning to Mary Jane for a number of reasons. It remedies nausea, soothes the pain of injuries, and promotes a good night’s sleep. But what about the other way around? If cannabis can improve your exercise routine, can you use your exercise routine to enhance your smoke session? These days, many people are finding the answer to be yes. Anyone who leads an active lifestyle and uses cannabis has likely suspected this to be true. But is it just because everything feels more relaxing after a workout? Potentially, no. 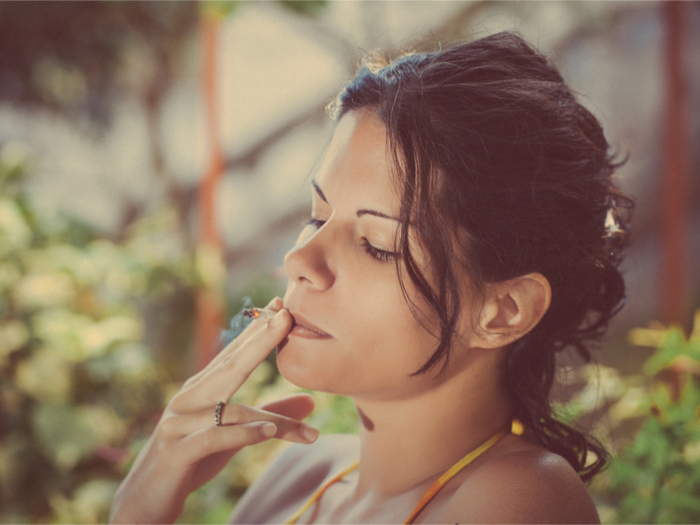 A University of Sydney study discovered that after a cardio workout, the THC levels in the body can increase up to 15%, which means more buzz for the toker. This study included 14 smokers that were required to exercise for 35 minutes on a stationary bike. The results showed the same changes in the case of all smokers: the plasma THC levels were increased. So, what does this mean for a regular smoker? All that THC you’ve been consuming is stored in fat deposits around the body. Once you start a cardio workout and your body accesses the fat deposits for energy, the dormant THC there is reintroduced into the circulatory system. If you use weed afterwards, you will have a buzz that is strengthened by the THC released by your body. In addition, the runner’s high we used to attest to endorphins may actually be due to the body’s own endocannabinoids. So, now you know why that first blunt after a workout feels oh so good. Or perhaps why, after a workout, you feel a little buzz when you haven’t smoked at all. While this all sounds great, there is one downside. Per the study, “Overall, these results suggest that exercise may elevate blood THC levels by releasing dormant THC from fat stores. These data suggest the interpretation of blood THC levels in roadside and workplace tests might be complicated by recent exercise.” So if you’re not a regular smoker, and you happen to get tested right after an intense workout session, you might test positive when you could have squeaked under the line before. But if you’re a habitual smoker? It doesn’t matter because you’re testing positive either way. The relationship between cannabis, exercise and the body is deeply complex, and the majority of questions have yet to be answered. It seems that endocannabinoids play a much bigger role in the positive aftereffects of cardiovascular exercise than previously believed, and we are learning more each day. So whether you’re getting your toke on pre or post workout, cannabis can be a beneficial addition to your regime. So next time you set out for a trail run, hit the gym, or take some laps in the pool, make sure there’s a bowl packed and waiting for you at the end of your workout.